League of Legends is one the most popular MOBA eSports games today. 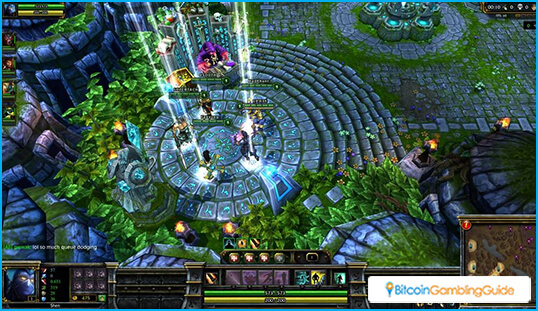 Play League of Legends or place bets on LOL matches on Bitcoin eSports betting sites. 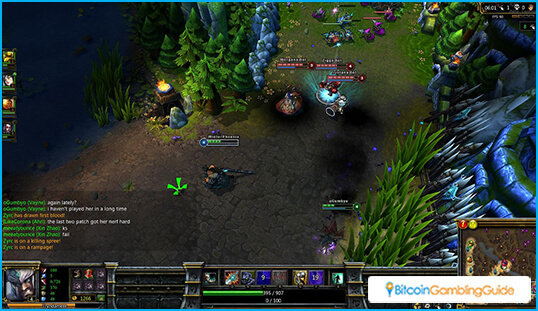 League of Legends is a popular free-to-play multiplayer online battle arena (MOBA) game. The game has seen more than 100 million players in 2016 as well as a large number of tournaments. 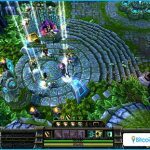 Bitcoin eSports website has also enjoyed many bettors for LOL matches. There might be several people not familiar to the game but are looking to bet with their bitcoins for an upcoming event. They might not fully be aware of what a LOL match is about like the goals, the champions or items. Fortunately, the game is easier to understand than other board games like chess. It also shares similarities with Dota 2 and Heroes of the Storm. Bettors first need to understand MOBA to know what LOL is. 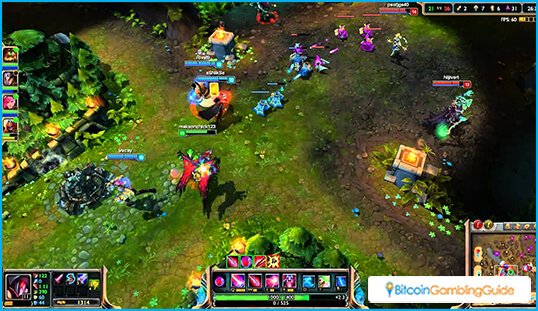 MOBA is a genre of video games where players control one or more units in a large map. The genre is the same as a real-time strategy (RTS) game where players build many units to attack the opponent. In a MOBA game, players usually control only one powerful unit. The objective of LOL is to destroy their opponent’s home base. To reach the opponent’s base, players guide their unit through a path called a ‘lane’. Every team has a group of units called ‘creeps’. Creeps travel down the ‘lane’ to attack opponent’s towers, structures and units. These weak units play an important role in the player’s controllable unit. Every creep killed adds experience to strengthen the player’s unit and gold to purchase different equipment. League of Legend’s powerful unites are the champions. These champions have different abilities, strengths, and weaknesses. They fit to any one of six different roles in the team. This includes the group’s tank, which can take more damage than other champions. Another is a support champion, which heals or strengthens another player. There are also different equipment and items players can buy for their champions. Each gives champions different increase level in their stats or provides other abilities. Fully utilizing a champion, choosing the right order of skills, and buying a good set of equipment are keys to winning a LOL match. LOL eSports betting is the same as placing wagers on a sports match. Bookmakers assign the odds on the favored and underdog teams. Betting on the favored team requires players to bet more to win the set payout rate. People who wager on the underdog team don’t have to risk more money than those who wagered on the favored team. There are also other special bets available such as a wager on who is going to get the ‘first blood’ achievement during a match. 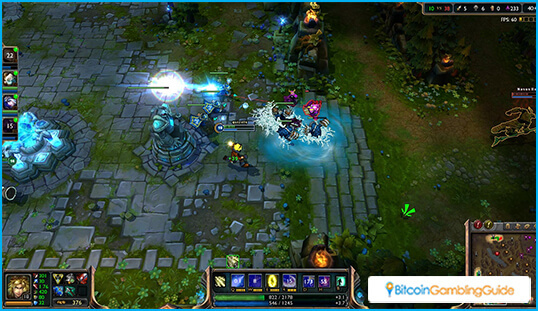 League of Legends is a staple game in the eSports community because of its competitive gameplay. There are different tournaments for League of Legends that you can start betting on.